So suddenly the tension in the air ceased. Well, I must say the political tension that was created by the just past general elections could pass for one of the most nervy moments of my life. The radio kept spewing figures at such a rate that, you would think the entire country was filled with a bunch of risk-taking-heads who would do nothing but engage in staking ‘lotto’ the whole day. A little bit of ‘I don’t care about the outcome’ attitude I put on, coupled with the final declaration by Dr. Afari Gyan, was the only remedy for the political turmoil in my head. The political season, came along with its own good and bad moments. I guess the most important thing is that, Ghana still looks like Ghana in the news. The fact that Ghana did not take up the physical attributes of some war-torn countries in Africa, makes me more proud of my homeland. But then again, you know what the proverbial old woman said, ‘you never cherish peace until you’ve been through war’. I guess this is the situation in this country. Though the general attitude in Ghana is an appreciative one for the peace we enjoy, there are some adventurous people who yearn to have a feel of pure anarchy. Probably highly motivated by stories they’ve been told or Hollywood movies they’ve watched, they insist on making this country look like one of the scenes from THE EXPENDEBLES. The truth of the matter is, there is no way these rebels will have their way without innocent lives being lost. So inasmuch as we would like to leave them to their fate, the onus falls on us to disarm them to prevent them from endangering our lives which is obviously of more value to us than theirs is to them. Well, so my polling station was quite crowded by a million and more people last Friday. In my quest to add my seemingly insignificant vote to a particular candidate’s accumulated votes, shall I waste the entire day standing in the sun and feeding on the residue of the vitamin D it provides? Certainly not!!!! So I decided to stay in my room and join the queue a bit later, when the magnitude of the crowd had subsided. Apparently, this is common sense, but hey! ‘common’ is a relative term and I found this out just last week. There was this bloke there, who had the strength of Samson, the arms of Hulk Hogan and the wisdom of Nomolos (Solomon spelt backwards)- what an amazing set of qualities to possess. He walked to the polling station, oblivious of the reality of facing any opposition, he carries one of the ballot boxes, stuffs it under his stinking armpit and decides to merely take a walk with it. Well, it was quite a short walk. The crowd that had gathered there, pounced on him like a lion would do to a deer, and tore his flesh to pieces. They left the guy in a pretty bad shape with blood dripping down his face. The big question is, what manner of love for a political party, would cause him to insist on losing his life in such a way??? *shrugs* well I think he would be the right person to answer this question. So Dr. Afari Gyan, finally comes out to declare the results of the elections. Finally!!!!. ‘Dr. Afari Gyan, wherever you are, I just want you to know I do not envy you at all. I don’t wish to be in the position to toy with people’s hearts like you do. The power to send hypertensive people to their much expected fatal ends for issues concerning political anxiety is not something I would like to have’. Afari Gyan, finally comes out and renders an apology for keeping the whole country waiting for an eternity for the results then he goes on to declare it. He declares President John Mahama as the next president of this country at least for the next 4 years. I would not say that I did not see it coming, as a matter of fact we all did and we all accepted it and life goes on. Unwillingness to accept the truth in the past, leads to a permanent imprisonment in it. Vividly, the results didn’t go the way the NPP expected it to. So instead of conceding defeat, we see them totally rebelling against the E.Cs results. 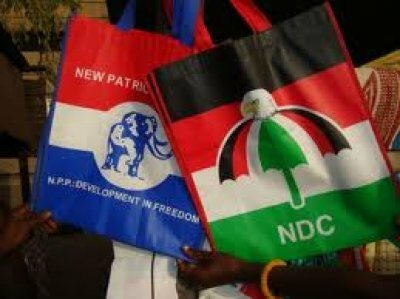 I am not concerned about the fact that the NPP is disrupting the E.C from performing its constitutional duties, I am more concerned about the sort of image of themselves they have painted in the minds of Ghanaians. In 2008, a similar situation happened when they refused to accept the results declared by the Electoral Commission. For peace’ sake, can’t they simply accept the results? I mean, it’s not as if the few number of votes they are fighting for would see their candidate even a few blocks away from the Presidential Palace. The closest it would probably get their candidate to the seat of government, is the Ako Adjei interchange. Well, whatever may happen from now till the day they are satisfied, we hope it will not mar the peace Ghana is enjoying. And to the President-elect, John Dramani Mahama, your government is known for corruption and other behind-the-curtains acts. I think your greatest achievement would be to curb corruption to the lowest point. It is my prayer that, you accomplish that which you set your heart to do to the glory of God and to the general good of Ghanaians. And to those insulting 3w3s for massively voting against the npp, ayekoo!!!!! One day, you will realize your insults are the reason the npp gets few votes in the Volta Region. the sky is the limit,bruh!!! Should A Christian Say Sh#t In A Song He Wrote?